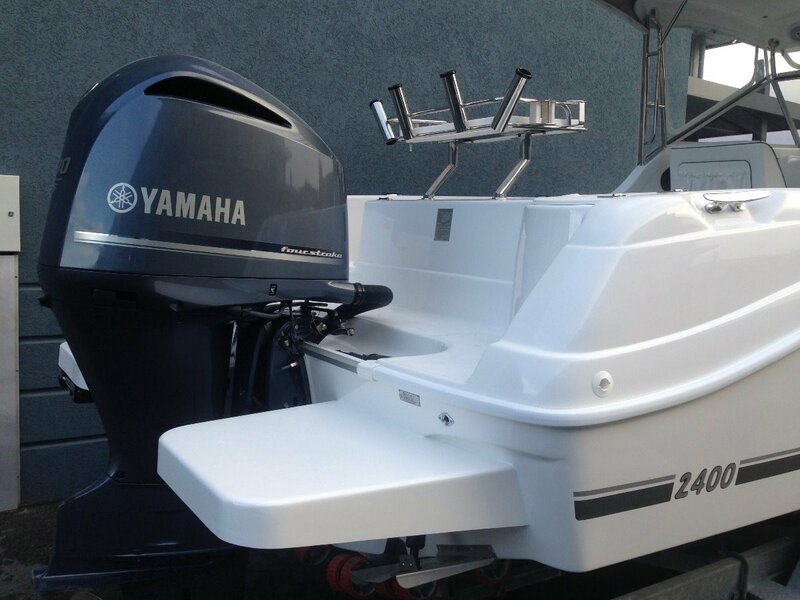 BASE DIY BOAT ONLY PACAKAGE, Nothing comes close to the performance and function of the C 2400. 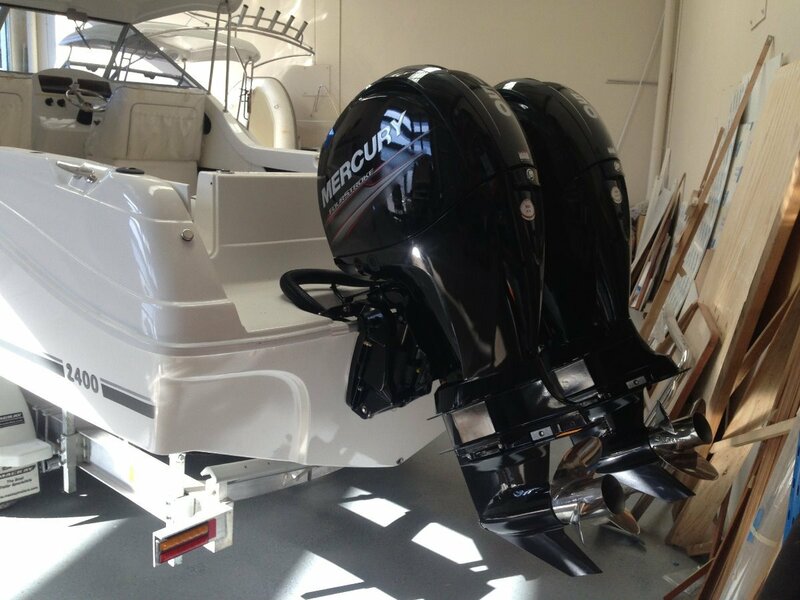 Build your ultimate boat today or have Mansfield Marine customize your next boat. Do it once, do it right with a CARIBBEAN. 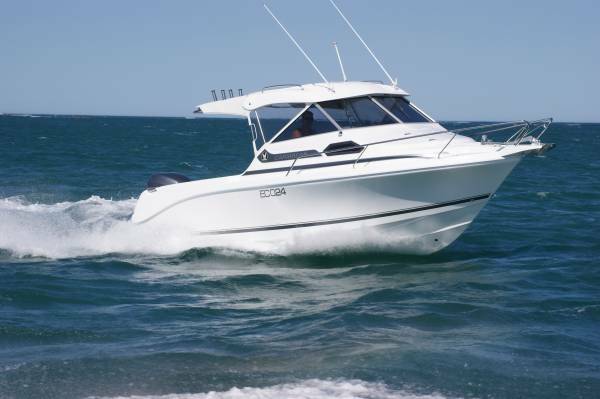 (NOTE: This advertised price is for the BASE BOAT ONLY, IE PLUS OUTBOARD/S and plus Delivery cost to WA of $5700, dealer delivery and further options). 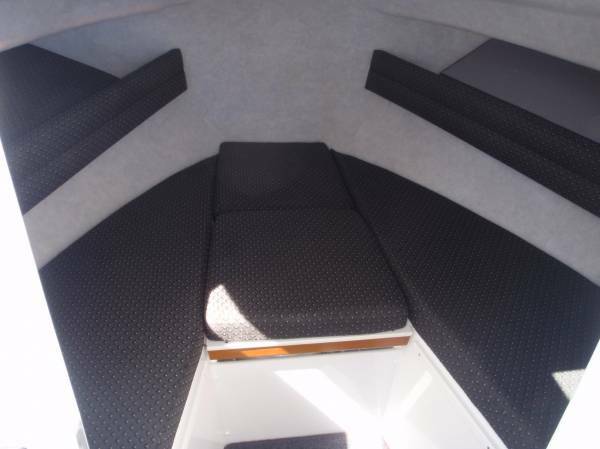 The 2400 has the BIGGEST deck space, best sea-keeping, best re-sale, best everything really. We have tried and tested most of this boats peers and professionally speaking this boat stands alone in all the areas that are important. 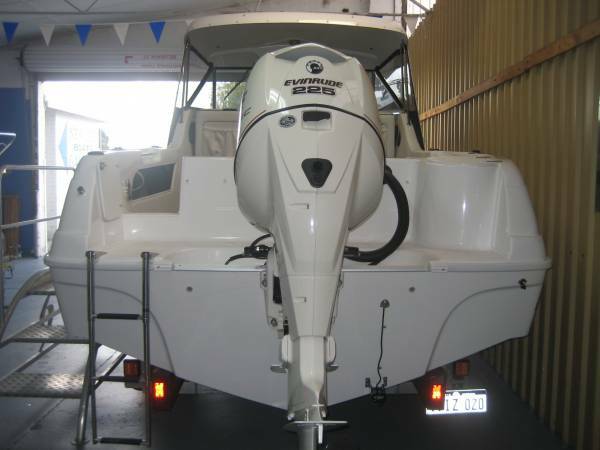 You can fit the 2400 with SINGLE / TWIN outboards, or Petrol / DIESEL STERNDRIVE. 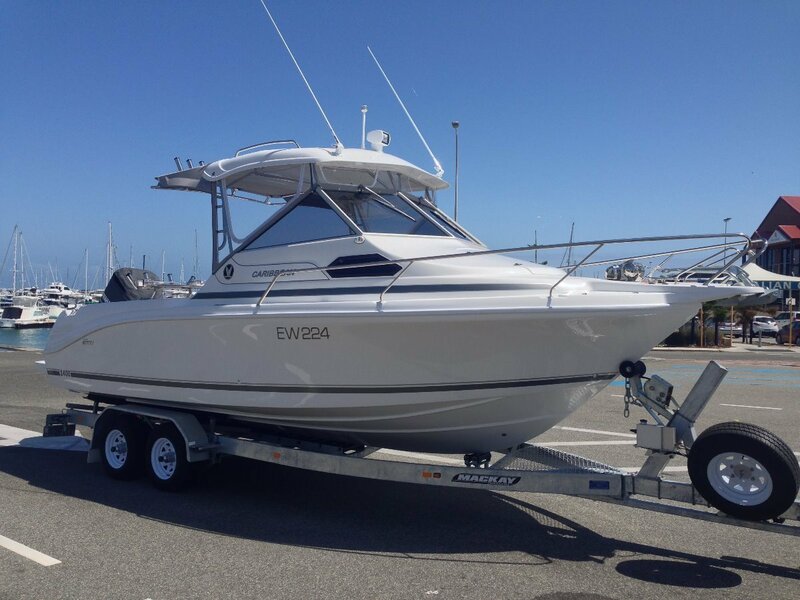 Mansfield Marine, WA's CARIBBEAN DEALER for the 24-49ft range, are proud to offer this ultimate fishing, cruising, family boat. 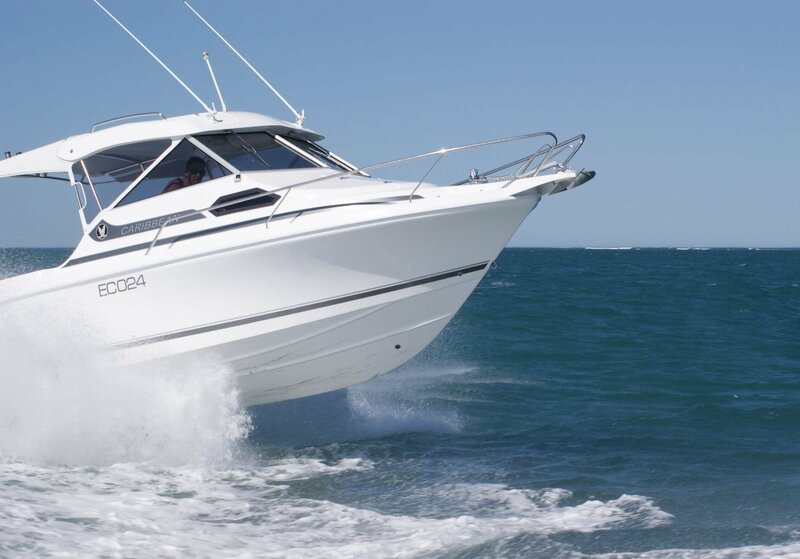 CARIBBEAN, the reknown pedigree design boasting 2.69mtr beam, fine entry and deep V hull give incredible ride and exceptional stability at rest. 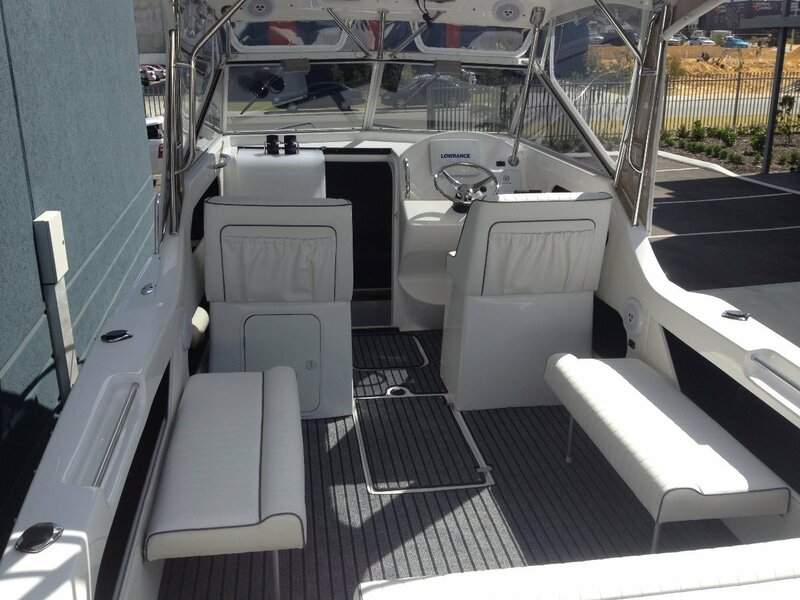 Usually when choosing a boat you have to decide whether ride quality or stability at rest is more important to you? 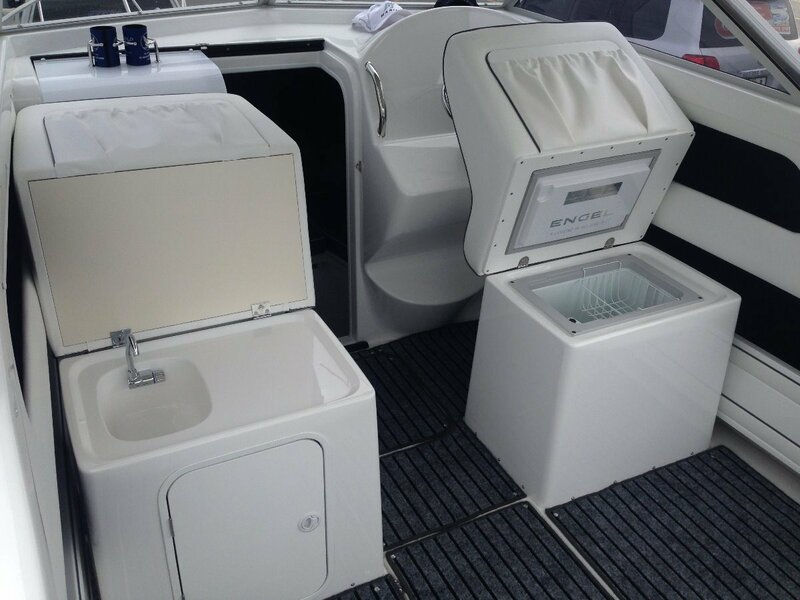 With 50 years of experience and refinement the Caribbean range lets you have both! 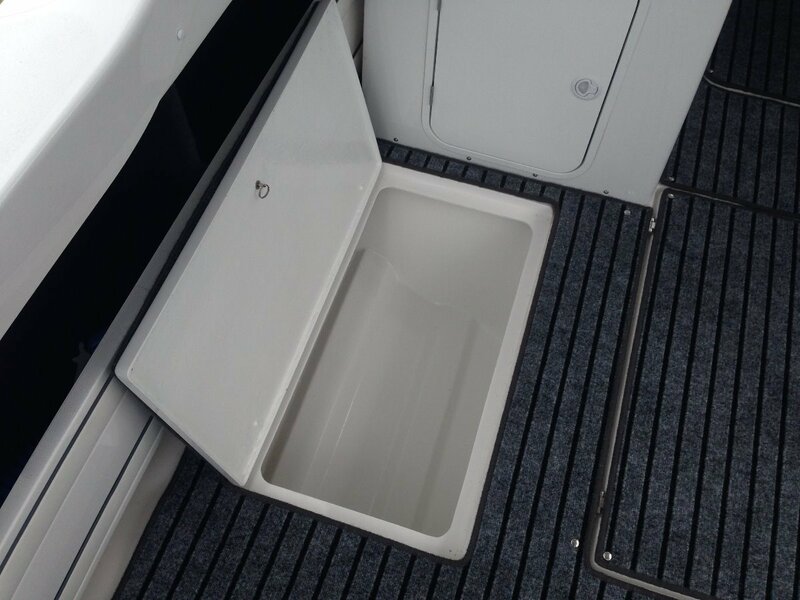 With classic lines, standard fibreglass hardtop, v-berth, toilet, hinged helm and passenger seat modules reveal a sink / workstation to port and a big icebox to stbd. 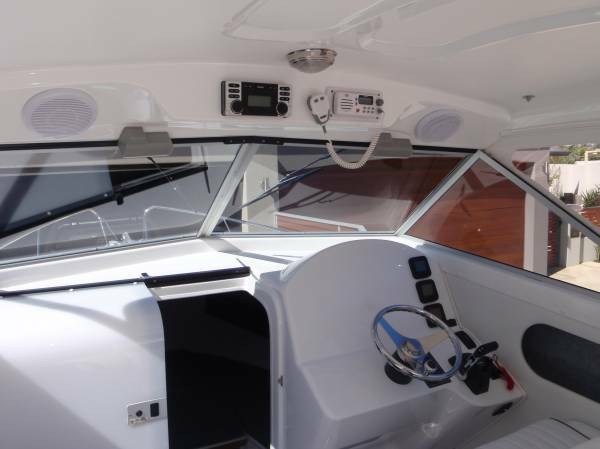 You wont find a bigger cockpit on any similar sized boat either. 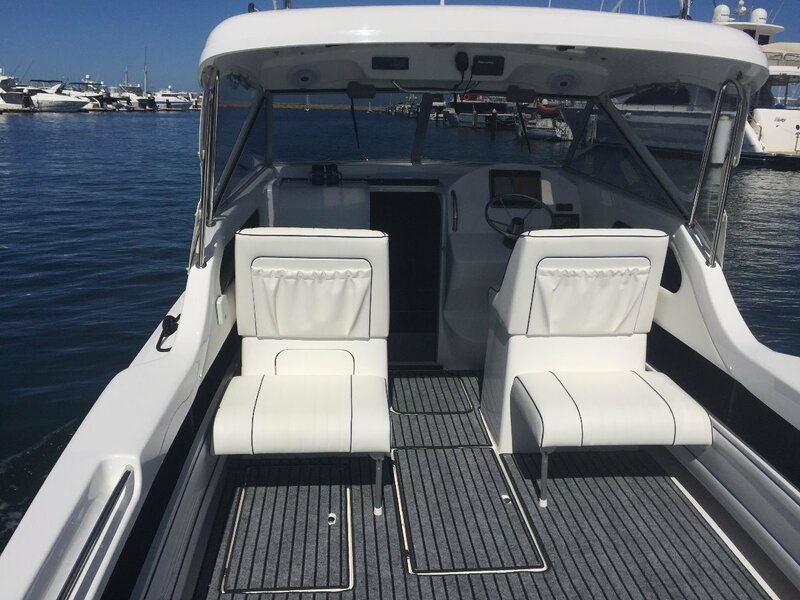 We can add extra seating to make your boat more of a cruiser for the family, add camper covers, bait board, rod holders, a BBQ, cray pot winch / tipper, or whatever you need to enhance this perfect platform making it your perfect custom boat. 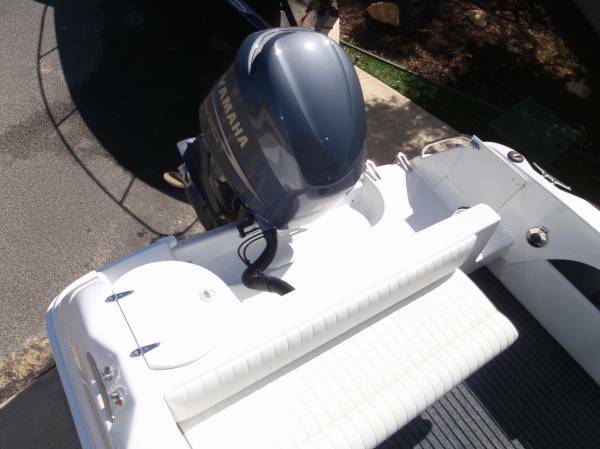 Outboard model: BOAT ONLY for $84,499.00 (plus WA delivery of $5700 and trailer if required) which comes with hydraulic steering so you can do it yourself or we can fit up whatever outboard combination you want, twins or single totaling (300hp max), the choice is yours! Sterndrive Diesel Model available at $515,736.00 plus WA delivery and OPTIONS. 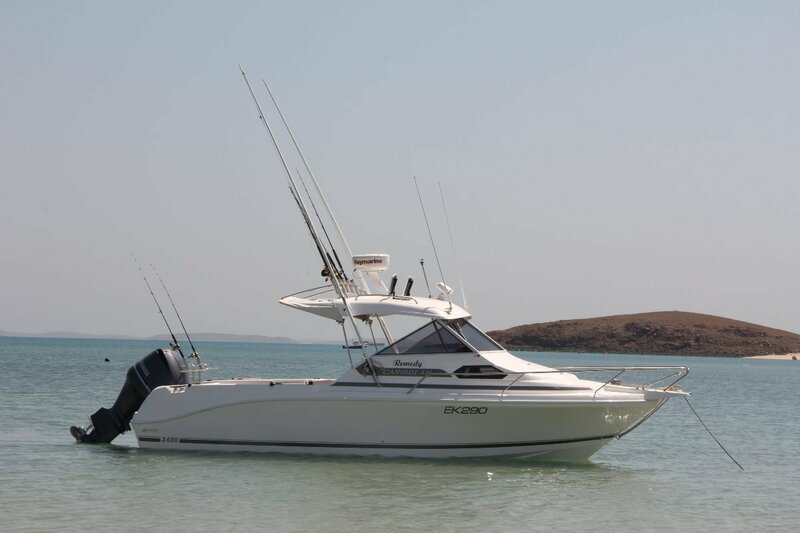 AS A GUIDE ONLY, a 2400 with twin outboards ( totaling 400kgs) or a 2400 with a Diesel Stern drive, sitting on an alumnium trailer with a bit of gear will weigh in at apx 3200kgs. Which can be towed by a late model Landcruiser or similar. 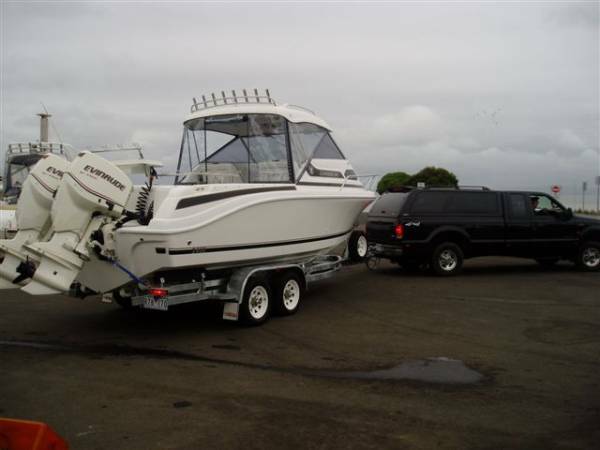 AS A GUIDE ONLY A 2400 with a single 300Hp outboard and a aluminium trailer will come in under 3000kgs, so it can be towed with a Navara or similar. 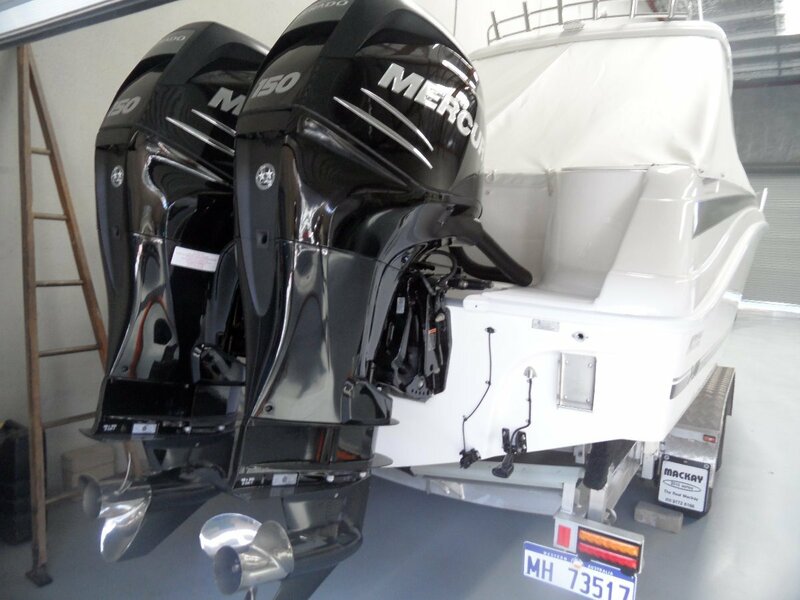 Mansfield Marine can supply, deliver and provide servicing for a NEW CARIBBEAN anywhere in Western Australia. 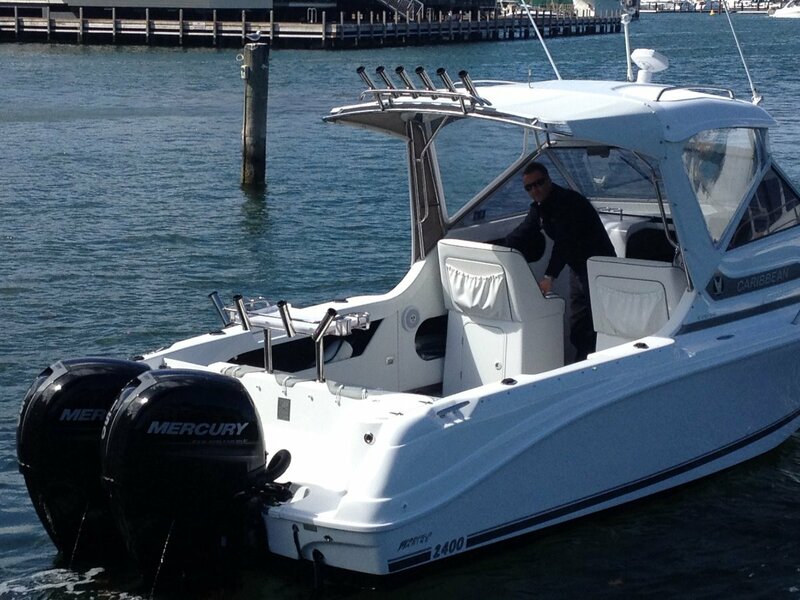 Call Travis Mansfield on 0419911560 for more information or a quote on any Caribbean model. Sink with pressure water standard, Gas BBQ / stove optional. 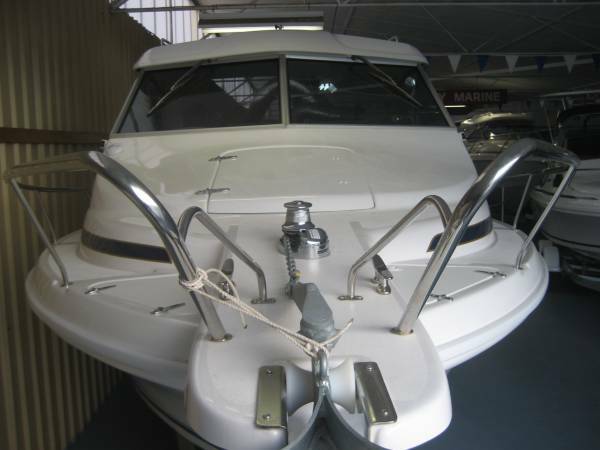 This is the best trailer boat in this category. NOTE: THE PRICE ADVERTISED HERE DOES NOT INCLUDE FREIGHT TO PERTH OR OUTBOARD ENGINE/S. 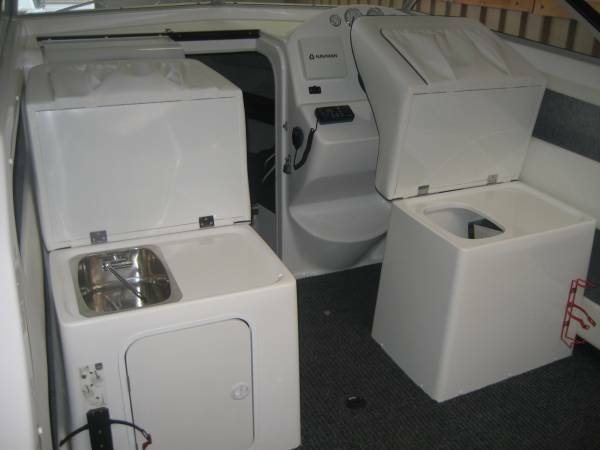 THE PHOTOS SHOWN HERE MAY SHOW DIFFERENT BOATS AND SHOW OPTIONS THAT ARE NOT STANDARD EQUIPMENT. 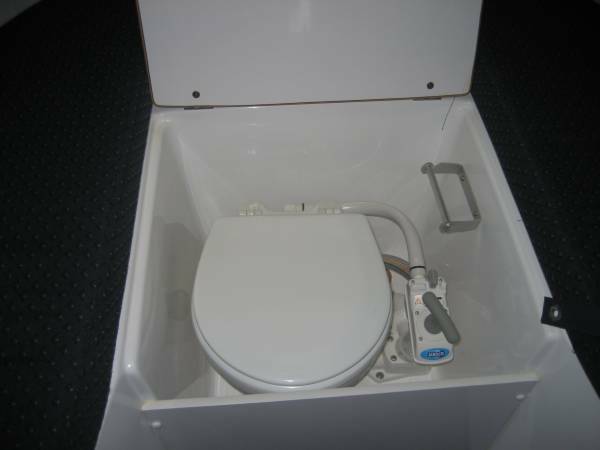 PLEASE CALL US AND WE WILL QUOTE EXACTLY WHAT YOU REQUIRE.